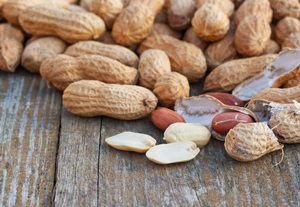 Is food allergen analysis flawed? It’s Allergy Awareness Week 25 April – 1 May, 2016. There are around 21 million people who suffer from allergies in the UK alone. Allergy UK is the leading national charity dedicated to supporting these people, and provides a dedicated helpline and online forums. Allergy Awareness Week hopes to draw attention to a number of allergies and promote well-being in those individuals who suffer from them. Researchers at LGC, The Queen’s University of Belfast, Allergy Action, and the University of Manchester have combined to produce a critical review published in Analyst on the flaws in the analysis of food allergens that could jeopardise their future risk management, as well as ways to address those flaws. Follow the link below to read their review. Check out the Chemistry World comment on allergies from Michael Walker here. 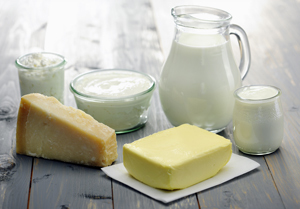 Interested to read more about food testing? Try the ‘Detecting food authenticity and integrity‘ online collection: A compilation of papers showcasing the latest discoveries and developments in the analysis and detection of food fraud, contamination, adulteration and spoilage. Take a look at our most recent HOT Analyst articles, these are now free to access for the next few weeks! Superposition of an AC Field improves the discrimination between peptides in nanopore analysis. Transmission versus transflection mode in FTIR analysis of blood plasma: is the EFSW effect the only reason of the observed spectral distortions? Multivariate statistical methodologies applied in biomedical Raman spectroscopy: Assessing the validity of partial least squares regression using simulated model datasets.